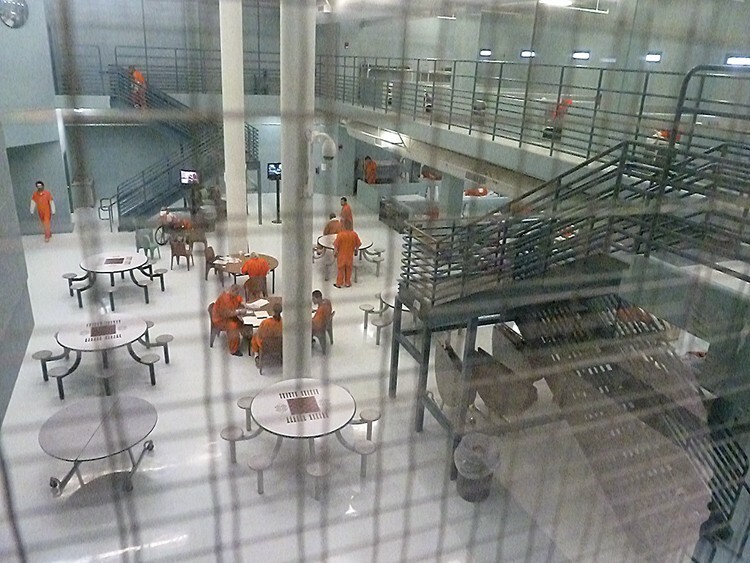 Inside the Humboldt County jail, conditions have started to resemble a prison. After decades of ham-fisted tough-on-crime legislation -- most notably 1994's three-strikes law, which voters last month resoundingly chose to reform -- California's overcrowded prisons had reached the breaking point. With 173,000 inmates crammed into the system, more than doubling the design capacity and creating nightmarish conditions, the U.S. Supreme Court stepped in and ordered the state to cut its prison population down to 137.5 percent of design capacity by June 27, 2013. As we reported in September ("To Redeem a Felon," Sept. 27), this experiment is considered the most sweeping change to California's criminal justice system in more than 50 years. By necessity (there's only so much space in local jails too, after all), counties throughout the state -- and Humboldt County in particular -- have been trying a variety of programs and techniques aimed at reforming criminal behavior, rather than just storing offenders in cells for as long as possible. How's it working? That's a tough question to answer. The new system has succeeded in reducing the state's prison population by nearly 40,000 inmates, but it has also produced side effects, complaints and unforeseen consequences. For one thing, the local probation department has had to deal with more offenders than the state predicted, and it has been scrambling to hire enough people to staff new treatment programs. Plus, many of the offenders are hardened criminals with long rap sheets. Consequently, the culture inside the Humboldt County jail has grown more prison-like, with increased racial tensions and violence. And according to the county's chief probation officer, Bill Damiano, some in this new batch of offenders have mental health needs that may exceed the capabilities of his department's residential treatment programs. Meanwhile, local police chiefs are blaming realignment for an uptick in property crime (though cause-and-effect is far from clear). And with cells for women in particularly short supply, leading to episodes in which a few women have reoffended soon after their release, the public has become more leery of allowing criminals back on our streets. "So the impacts have been greater than were projected by the state," Damiano said last week. "But of course they didn't have a great model to start with because no one had done this before in California." Regardless, the bottom line is that local communities now have to figure this out. The old system, with its overcrowded prisons and 70 percent repeat-offender rate, failed miserably. Now it's up to county governments to shoulder more of the state's crime, punishment and -- wherever possible -- redemption.